Hello everyone! I wanted to write a very transparent update, so here goes. I know I’ve been quiet here on the blog, on Ravelry, and on social media. Truth is, there hasn’t been anything new to write about. I had been hoping to get the shop going again, but the interest hasn’t been there. Hand-dyed yarn is such a saturated market these days, I haven’t been able to keep up and stand out. So when I got an awesome job offer for a full-time position as an Apple Specialist, which is something I have wanted to do for years, I said yes. I’ve been thinking about how to handle Annie Yarn in light of working full-time again, and I’ve come to the decision that I need to close it until further notice. I don’t want to let it go completely, or forget about it, or give up on having a well-known brand and a brick-and-mortar shop someday… but for right now, I need to set it aside. It’s a dream I have, and it’ll come true when the time is right. So the Web site and everything will stay online, and I’ll still have a contact form, so if y’all need to get in touch with me, you can. I’ll still occasionally dye yarn and put it up in my sister’s online shop that will be opening soon. But it won’t be a regular thing, it’ll be an as-I-can, just-for-fun thing. I want to thank all of you who have cheered me on the last five years, walked with me, and watered my dreams. Like I said, this isn’t good-bye forever, just for now. If you’re a shop owner who has been carrying my yarn, know that if you need to contact me, I’m just an email away. I may be able to accept re-orders for existing wholesale accounts, so please ask me about it if your customers just gotta have some Annie Yarn! Attention local yarn shop owners! I have made changes to my wholesale system that will revolutionize it. I call it The Slot System. For right now, while I am balancing two home businesses and a day job, I will have one slot available per month. When we discuss your next order, I will give you a list of open slots/months, and you’ll be able to choose which one you would like to take. Near the end of the month before your slot, I will get in touch with you in order to get your list of bases and colorways so that I can invoice you at the beginning of your month. It will be due upon receipt, and you’ll need to pay it right away. That will enable me to let the payment process, place the order with my supplier, dye, dry, braid, label AND ship your order all within your slot’s month. As in a 3-4 week turnaround time from the time your payment clears (barring interference by nature or any emergencies of course). That way you don’t have to pay for an order you’re not going to get your hands on for six months… or a year for that matter, like with some of the big companies. This system will also help me keep track of sales better and streamline the whole process so much. I’ll be able to plan my projects and offer new colorways and bases more regularly, offering them to certain shops before adding them to my regular lineup to give everyone a chance to have something new before anyone else. If you’re a shop owner and have any questions, please let me know! I’d love to chat via email or phone! And as always, I’m looking forward to dyeing yarn for your shop so that your customers can enjoy my braided skeins. If you follow me on Instagram or Facebook, I know you’ve already heard that I was featured in the Indie KnitCrate this month. But I wanted to write about it here because of the TWO new colorways I developed and the new base I used for the project! First I want to talk about the base. I’m calling it Passport DK. It’s the first in a new line of yarns I will be offering in limited quantities as I find them via various sources outside of my normal wholesale supply. So in a sense, I’m “traveling” a bit. Trying new things from new places. It will be a fun adventure, and you’ll never know what new bases I’ll have! Depending on the demand for the bases, I may be able to include them in my wholesale program as limited runs. I’ll figure that out when I get there. Okay, now for the colorways. First is Electroberry, and it’s my favorite. I took a true, vibrant blue and glazed it with pink to create lovely purple hues. The other new colorway is Pink Lemonade, a happy color that makes my mouth water because I love a cold glass of sweet, tart pink lemonade on a hot summer day. 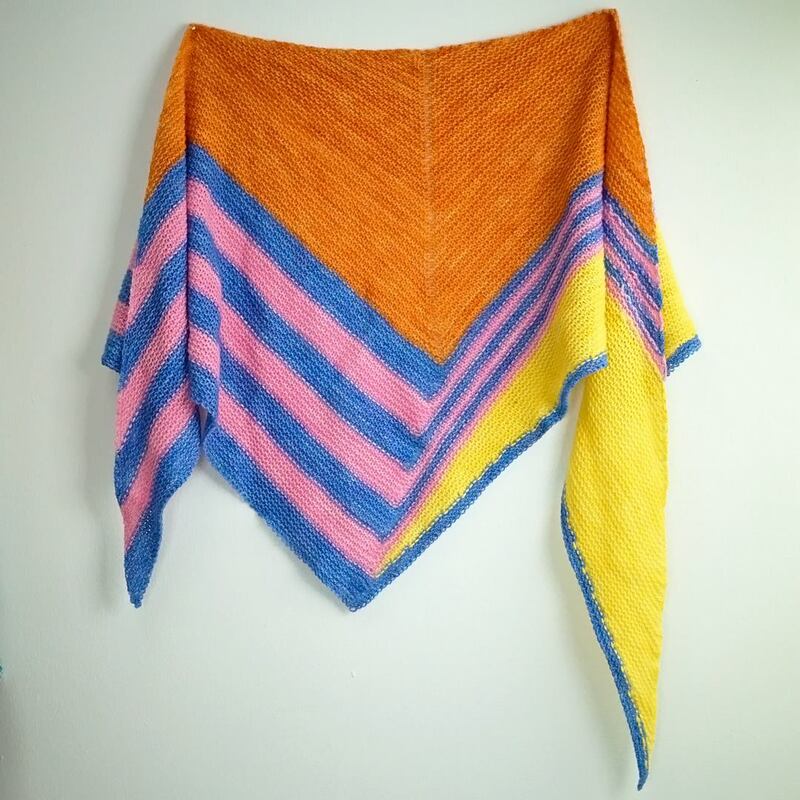 The other two colorways in the KnitCrate palette are Pumpkin Farm and Canary. Those four together sure do make a wonderful summery palette, don’t they? The designer, Xandy Peters, used them so well in her designs. I hope to work with her again sometime! 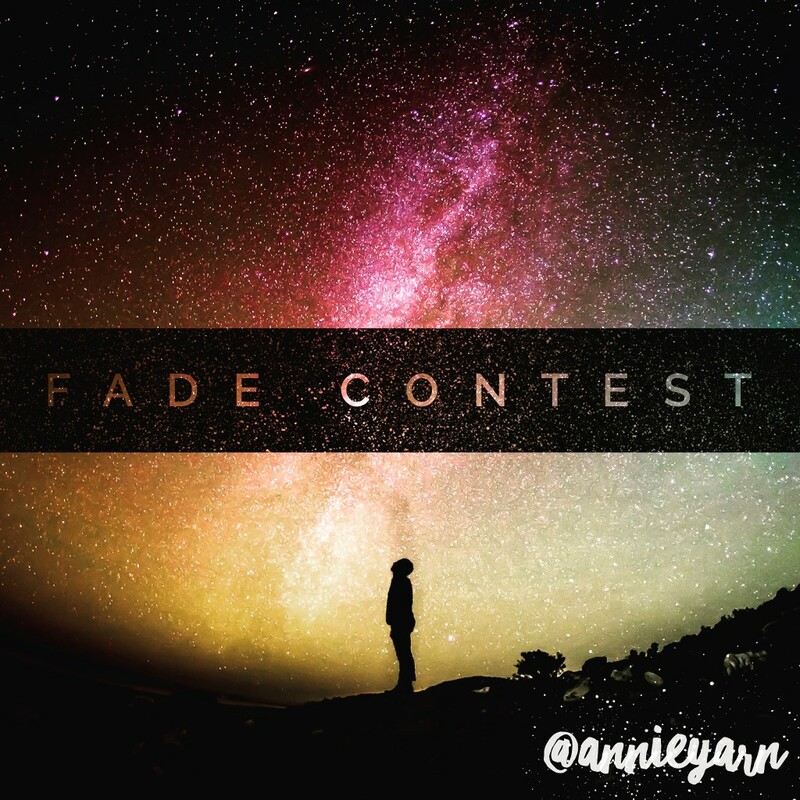 I want you to dream up Annie Yarn palettes for Find Your Fade by Andrea Mowry!! I will then pick a few to turn into kits for a summer KAL and bring those color dreams to life. Hey everyone! I’m really excited to announce that I’m back! Life is going good, I’m working a much less stressful job in a home decor store (fun! ), and I’m finally able to devote time and creative energy to Annie Yarn again. I’ve got a lot of ideas I want to play with, and I’d love feedback. I’ll be posting in the Annie Yarn Ravelry group and asking for y’all to share with me what you’d like to see. 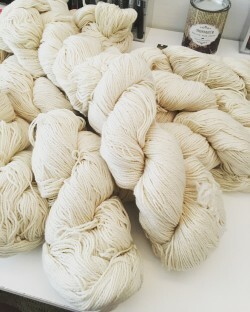 The future of Annie Yarn is wide open, and I want to explore new things. New clubs, new dye techniques, new kits, you name it! Soooooooo I’ll be updating this blog and sending out newsletters this summer as I work on new projects and come up with fun stuff for you guys to enjoy! Thanks for sticking with me through my much-needed hiatus. Can’t wait to dye you some lovely yarn! p.s., I’m working on getting custom orders open again, so stay tuned! I’m figuring out a new/easier way to order, and it’s gonna be amazing. I’ll post about it everywhere when I’ve got it ready! Hello, it’s been a while since I last updated the blog — summer has been crazy for me in every area of life except for Annie Yarn. The whole yarn industry experienced a pretty slow season, so I’m not surprised we’ve felt it, being an indie brand and all. But fall is looking promising, as we have local yarn shops planning to place orders with us! We really want to focus on growing that side of the business. So to gear up for those orders, we’re taking a hiatus from the online side of things. That means custom orders are closed, we are closing all monthly subscriptions this month (meaning September will be the last shipment for a while), and the Woolhouse Sweater Club is closed. Furthermore, starting September 3rd, the Woolhouse online shop will be closed until we can do some renovations. If there’s anything in stock in the shop you want to nab, better do it by then! 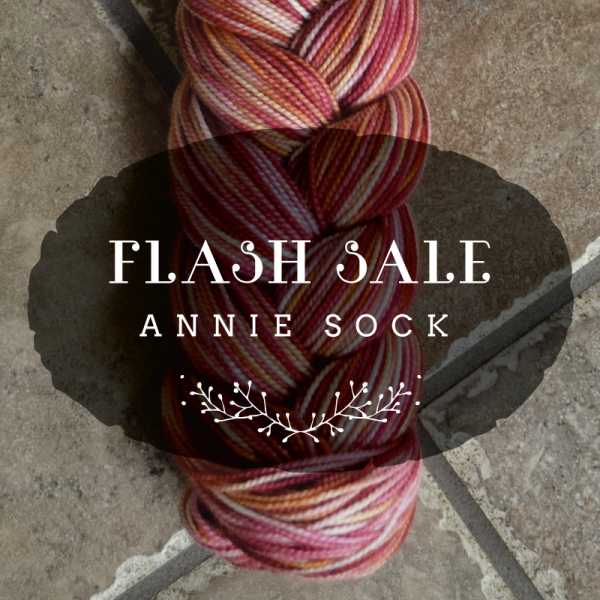 I know all of this might make it sound like Annie Yarn and Woolhouse Fiber Co. could be closing down, but we’re not! We just need some time to get our thoughts and ideas together. With my new job, Jenn has taken over the dye process (bet you couldn’t even tell when she did cuz she’s so good!). 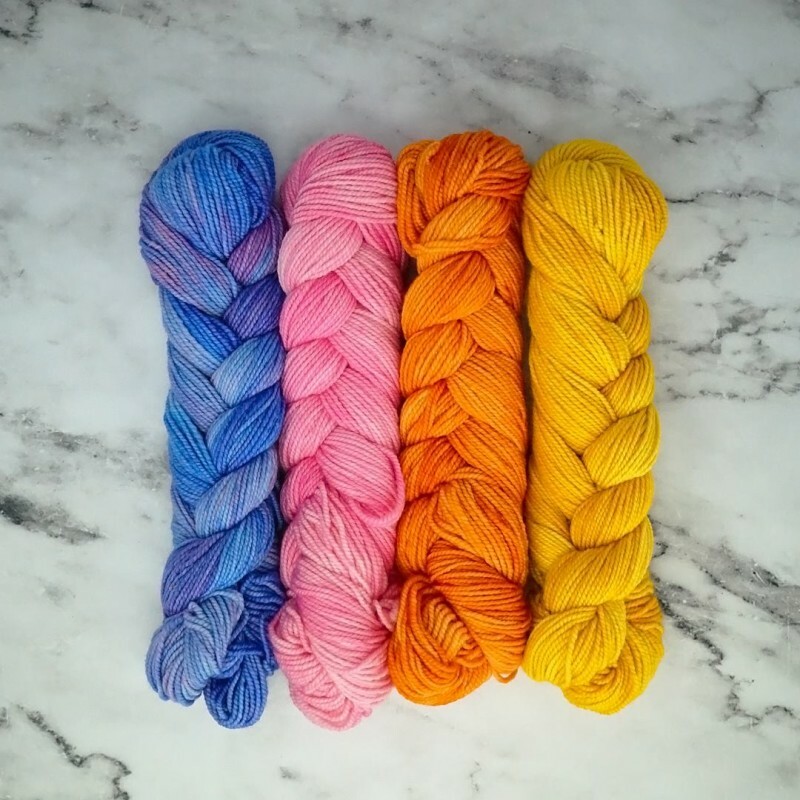 We’re just wanting to take a step back, gather new creativity, and then be able to move forward with a stronger vision of where we want to go from here, which we know will include more local yarn shops carrying us. We’re not exactly sure how long our online hiatus will last, but we will send out newsletter updates as we get things going again! Make sure you’re signed up! 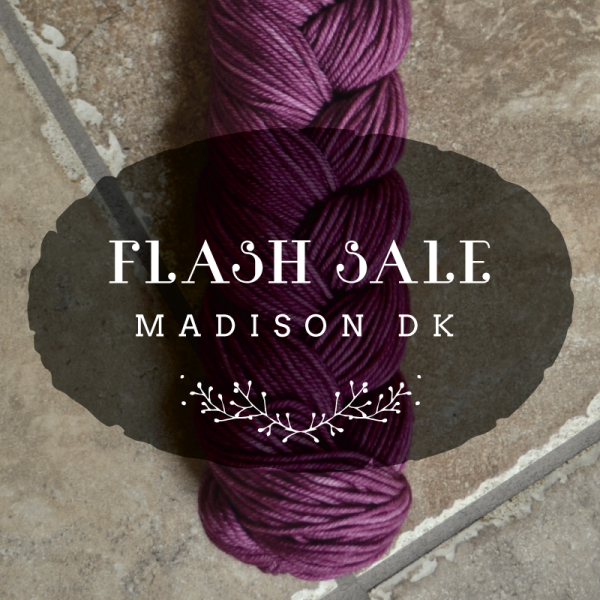 Now through Monday, enjoy 20% off Annie Sock and Madison DK in 7 lovely colorways! 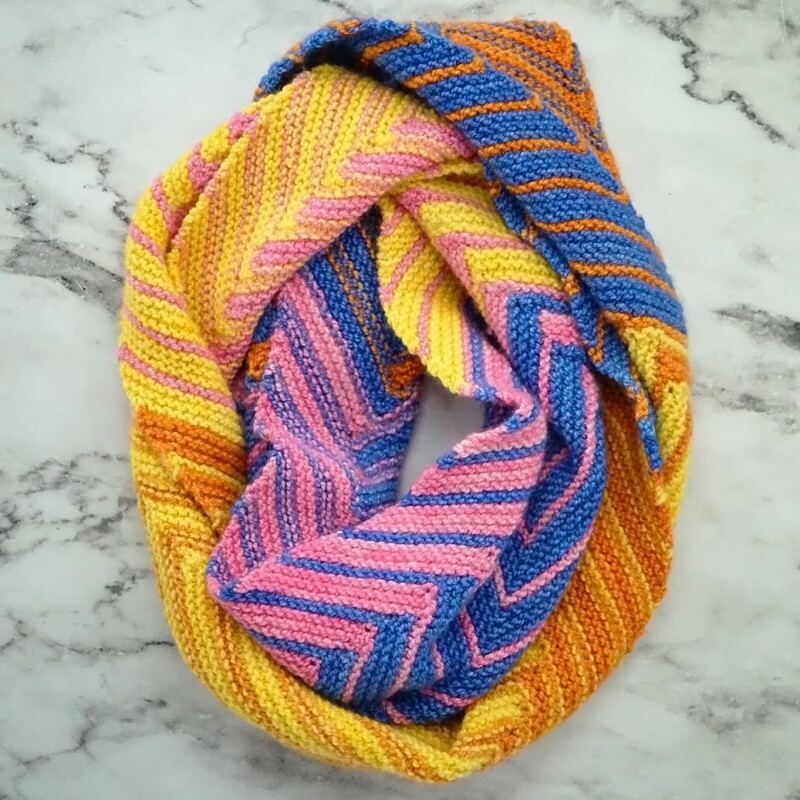 We will be pulling from these bright, cheery colors for the April and May shipments, giving subscribers plenty of time to knit something sunny in time for summer days! When we first launched our monthly subscription club, we really enjoyed creating a new, exclusive colorway each month. But as time went by, we realized that creating something brand new every single month was taking its toll. So I put my thinking cap on and came up with what I hope will be a fun new experience for you guys! There’s one last detail that’s kinda important: we will be shipping colorways one season in advance. So that means fall colorways will ship during summer, etc. We thought long and hard about doing it this way and ended up deciding to go with it. Here’s why: it’s really fun getting fall-colored yarn in the mail in the fall, but then you might not have time to knit up something to wear for fall! Or in my case, I like having the yarn sitting there waiting for me to knit during fall, and who cares if I finish while it’s still fall! Whichever one describes you doesn’t matter because by shipping a season in advance, you’ll still have it in your stash to either knit during fall or knit ahead to wear during fall. Of course that applies to the other seasons too, but fall is just so wonderful that I had to talk about it. Now, where bases are concerned, that will still be a mystery every month. We have thought up a way to keep it interesting while still being able to plan better, but I’m going to keep it a secret until someone figures it out and posts about it online somewhere. I’ve got to have at least a little bit of mystery there, you know. 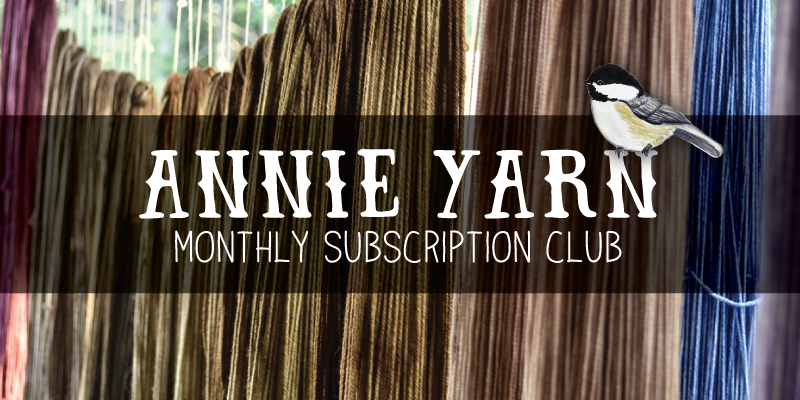 As you’ll notice when you go to subscribe, we’ve added a 4-skein option. We’ve had a couple of knitters sign up for two of the 2-skein options before, so I figured I should make it easier. Also, I’ve tweaked the pricing a little bit. The prices all include shipping, so I did some math and came up with prices that are about 10% off our regular prices while still being able to cover the new USPS rates. I’m happy with what I came up with, as it’s a good balance. I think I’ve covered everything, but if you have any further questions, feel free to drop me a line either by commenting here, posting in the Ravelry group, or sending an e-mail! 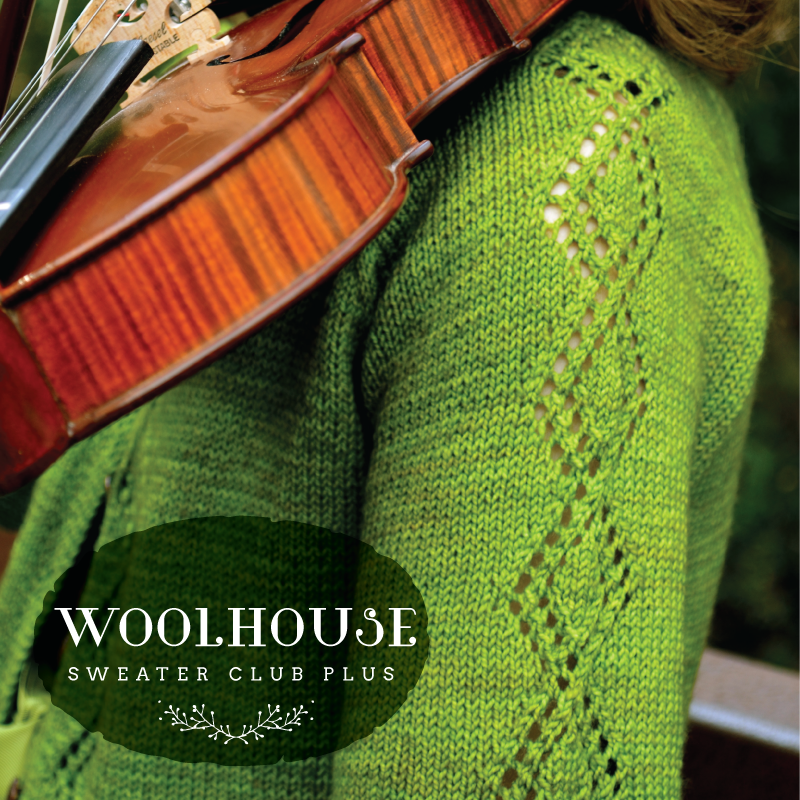 I’m really excited about the new Woolhouse Sweater Club Plus subscription! Check it out here!